Jai Sri Hanuman! 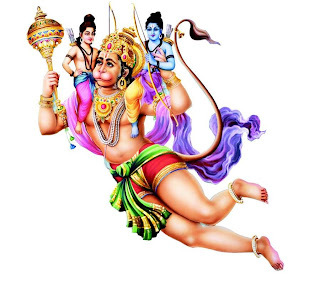 This year the festival of Hanuman Jayanti "birth of Lord Hanuman" will be celebrated on 6 April 2012. Lord Hanuman is believed to be the most powerful and true disciple of Lord Rama. Hence, devotees perform pooja for both Lord Rama and Hanuman on this day. Shirdi attracts millions of devotees on Hanuman Jayanti, starting with an early morning Aarti the pooja is continued with bhajans and kirtans in the temple. All nearby Hanuman temples in Shirdi celebrates Hanuman Jayanti in full swing.